Pambos Napa Rocks is located right in the heart of the resort of Ayia Napa and boasts unique and individual experiences at affordable prices. Just a short 45 minute journey from Cyprus’ main airport it’s no wonder thousands of party goers flock to Pambos Napa Rocks for their party holiday every summer! Pambos Napa Rocks is so central that they host their own legendary Napa events! 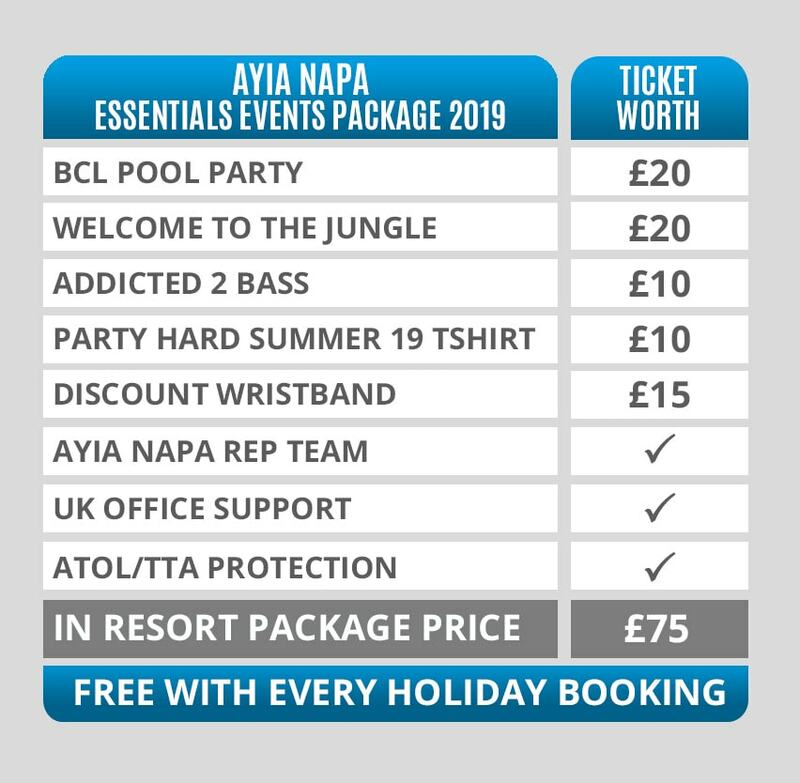 If you want pool parties on your doorstep and clubs within throwing distance then Pambos Napa Rocks is the hotel for you! The hotel is almost on The Strip and is next door to the Aqua Club, so you won’t have to travel far to have a good time. The hotel has a pool (where all the pool parties are held), a bar and a gym. There isn’t much more you could need! Ayia Napa’s famous Nissi beach is a 10 minute taxi trip from Pambos Napa Rocks. This is one of the most beautiful beaches in all of Cyprus, and is the perfect place to chill after a night on the town. Or, take your pick from the 3 pools at Pambos Napa Rocks, one volleyball pool and a range of other leisure activities for you to do during the day – when the pool parties aren’t in full swing that is. The Pambos Napa Rocks complex consists of 224 rooms spread across five buildings with studios fitting anywhere between 2-4 people. With recent renovations, each studio is equipped with air conditioning, TV, safe deposit, mini fridge, modern showers, terrace or balcony and Wi-Fi (some amenities may be charged locally). Please note, like almost all party hotels abroad, a conditional, returnable room deposit may be required on arrival (no more than €50pp).